Happy St. Patrick's Day! I've teamed up with The Feed to bring you guys a great giveaway...keep reading! Everything is portable and easy to stow away in a pocket or backpack until you're ready for some fuel. 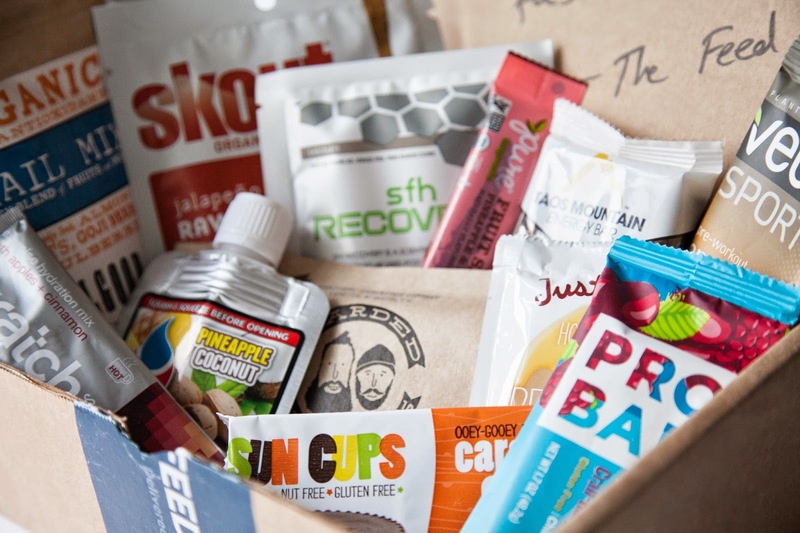 I can't tell you how many times the goodies in this box gave me that little extra boost I needed. It's also the perfect size to throw into my desk drawer at work for those afternoons when I've been scrolling through Pinterest or Twitter way too long and I'm starting to doze off. 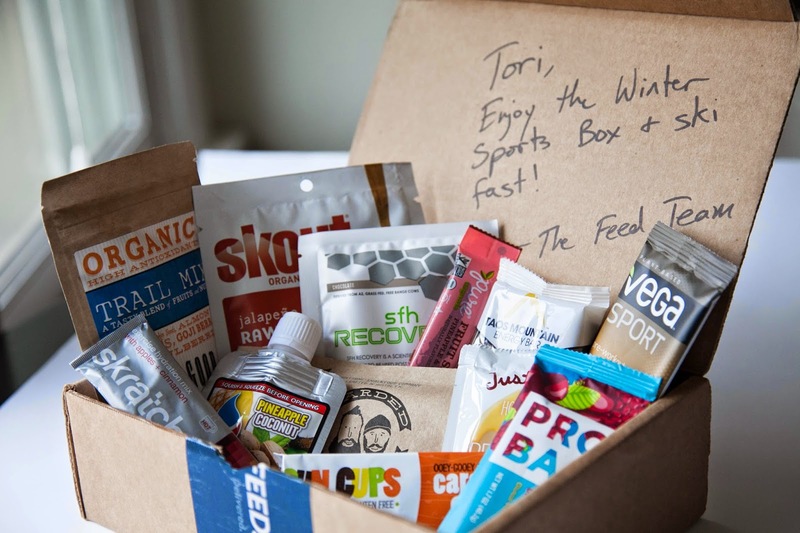 Whether you're a serious athlete or someone who just likes to snack healthy (we all know those donuts in the break area at work are calling your name)-- The Feed is a great solution for all of your hangry, and questionable food moments. The best part about The Feed is that you can subscribe! Who doesn't love getting packages in the mail, and on top of that packages you can chow down on. What I love about getting a box like this delivered to my door is that it's full of things that I may have seen in stores, but haven't tried. Special thanks to The Feed for sponsoring this post.